Hello – The news is filled with plenty of the negative these days, but there are many stories out there of folks doing positive things to make a difference in our world. 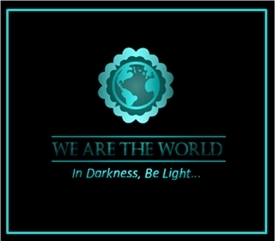 As a result, I’m participating in We are the World Blogfest with other bloggers who want to bring some light to our world and share news of hope. The hosts for the March #WATWB are Belinda Witzenhausen, Lynn Hallbrooks, Simon Falk, Sylvia McGrath, and Damyanti Biswas. Please visit their blogs and read the good news they have to share. The initiative also calls for opening shelters in existing buildings over the next five years. In total, 90 new shelters will be established across the five boroughs. The city would also renovate and expand 30 existing shelters, according to a report released by the mayor’s office. With more than 60,000 people in NYC shelters currently, progress will be “slow and incremental” says the Mayor. What do I like? New shelters opened, existing shelters renovated and expanded, and using old buildings that are vacant to provide shelter for homeless. Instead of tearing down buildings, let’s use them to good use–if it’s possible to renovate them for safety and comfort. What can you do? Share this post on your social media outlets. Visit the other blog hosts for today’s first monthly event. And become a part of #WATWB! Reconnect with nature – Lovely piece on the virtues of filling the senses with the wonders of the natural world. “Wind in the trees, thunder, flowing water, falling leaves, rain, animal voices, birdsong – we live amid a teeming polyphony of natural sounds. “Add to these the sounds of human activity, from soft footsteps to pneumatic drills, from muted conversation to pounding trains, from jetting fountains to jet planes. “Then, we have the articulate, measured, imagined sounds of art – all the many kinds of music, which so specifically and directly convey the spirit of a people. We must keep the Endangered Species Act and EPA! We also saw nesting eagles on St. Marks National Wildlife Refuge in Florida last week. Magnificent bird. and the West Indian manatees, and a subspecies, the Florida manatees, found along the coasts of the southeastern U. S. states, seeking particularly warm water sites in the winter months. A short story for March 4. Forward march always. With two of my big brothers – March Forth found its seed in my relationship with brother on the left. Today is March Fourth – a date I have always adored. But in 2008, the date became marked the date when my brother died by his own hands. This short story is based on that event. However, the beauty of being an author means I can create a better world (or worse, if I choose) than reality in hopes of presenting alternate ways of viewing the world and our place in it. This short story appears in the box set Unshod along with other short stories set in the West. The box set is perma-free. Eve woke from the first sound sleep she’d had in months. Silence greeted her, along with an empty spot next to her on the king-size bed.